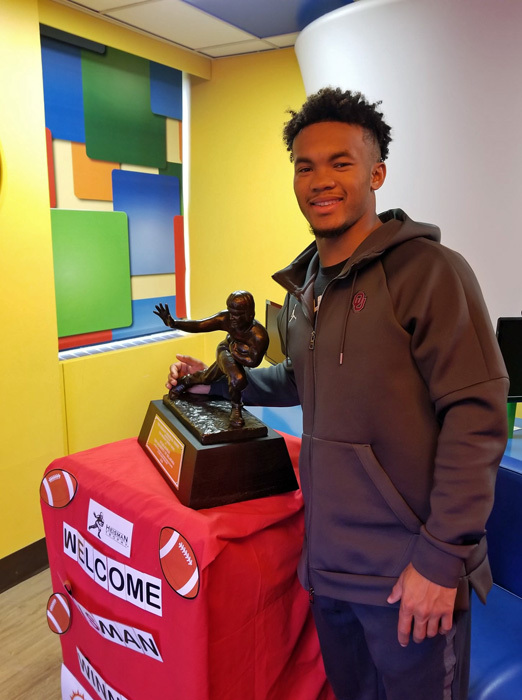 On Sunday, December 9th, newly-minted 2018 Heisman Trophy winner, Kyler Murray from Oklahoma University visited patients at Kravis Childrens Hospital at Mount Sinai. He participated in a hospital-wide broadcast from the Kids Zone, made a couple of bedside visits and then visited the hospital’s Lion’s Den Room. 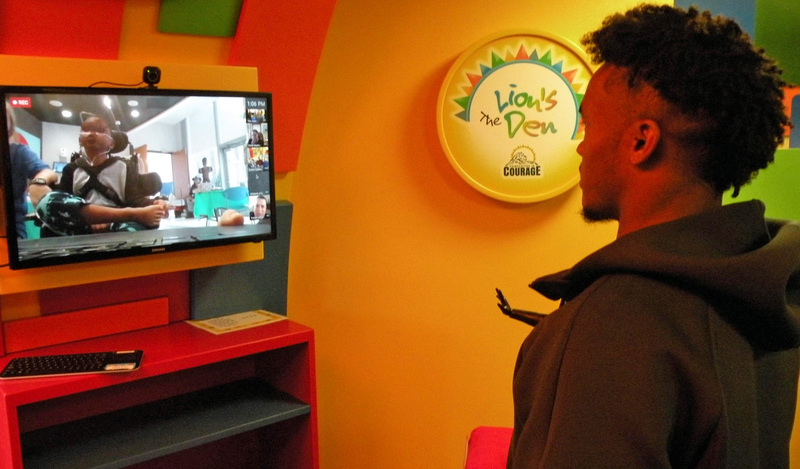 Pediatric patients from other children’s hospitals across the Lion’s Den Network participated in a Google Hangout with the star quarterback. There were many smiles from the patients and Kyler as they asked him about his morning routine, his chances against the University of Alabama in the upcoming college football playoffs, and his favorite candy! Murray is the second consecutive Oklahoma quarterback (Baker Mayfield in 2017) to visit the hospital on the day following the Heisman announcement. These visits go a long way to buoying the spirits of pediatric patients at both Kravis Children’s and across the Lion’s Den Network. The Heisman Trophy Trust has been partnered with Companions in Courage Foundation for a decade in providing access to college football’s top player for these very meaningful patient visits. On December 4th and 5th, the 2018 version of Santa Connection was conducted in a dozen children’s hospitals throughout North America. More than 100 pediatric patients and their siblings got the chance for a personal visit with Santa Claus (and Pere Noel in Ottawa and Montreal!) via a live Google Hangout. As always, this event is an emotional roller coaster replete with ample amount of laughter and tears. The difference made by volunteers from Cisco, Google, St. Dominic High School and YouTube could best be articulated by Alexa at Cohen Children’s Hospital on Long Island, who told Santa that all she wanted for Christmas was to be able to go home with her family… Don’t we all wish that for each of these special children? We danced with Elijah at Children’s Hospital of Philadelphia when “Eesh the Elf” revealed that he was on Santa’s “Nice” list. We celebrated with Abigail at Oishei Children’s in Buffalo when it was revealed that she had her intubation tube removed that morning. We cheered on Kreek at Wolfson Children’s in Jacksonville as he celebrated his discharge day. Three-year-old Chloe at Ste. Justine in Montreal made us laugh when she brushed aside her nasal intubation to mimic Pere Noel’s “Ho! Ho! Ho!” And 11-year-old Leon brought a tear to Santa’s eye when he shared how he had created a Harry Potter Bingo game for his fellow patients at Kravis Children’s at Mount Sinai in New York so they wouldn’t feel so alone in the hospital. 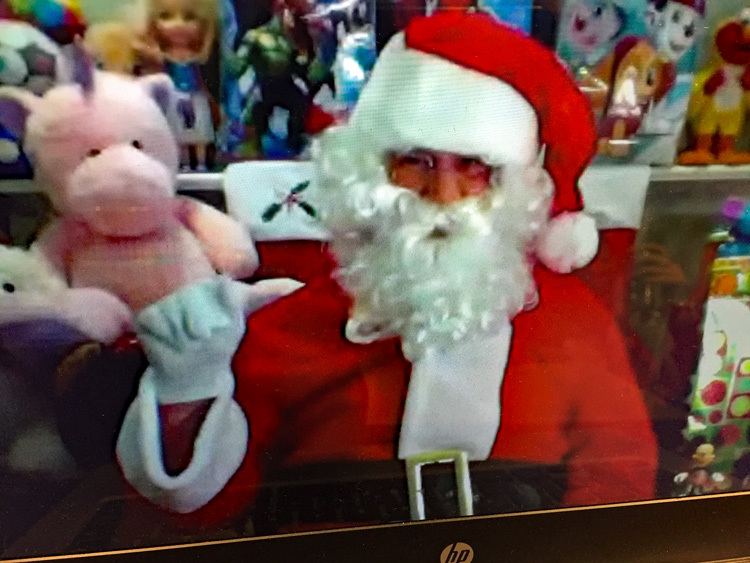 Far more patients than in any previous year accessed the Santa Connection from isolated rooms, where Child Life staff had to first don masks and gowns before conducting the session via Chromebook. This just amplified the importance of this annual program as we try and reach special children who simply cannot visit Santa in a shopping mall. 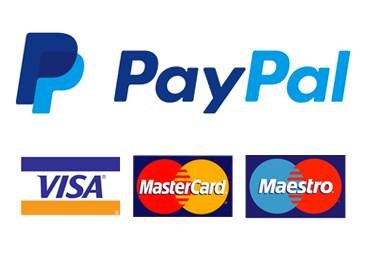 Through the generosity of Companions in Courage Foundation donor, every child received a gift card from Santa. These heartwarming visits reminded us all to be “good, for goodness sake!” For all who contributed their talents it helped put perspective on what the holidays are all about.